After a full four years of preparation Crystal Club has finally opened its doors, embracing all lovers of loud club music. The mostly Russian 30-something nouveau riche crowd of the blonde and the beautiful fill up the space, making it feel more like Moscow than Riga. 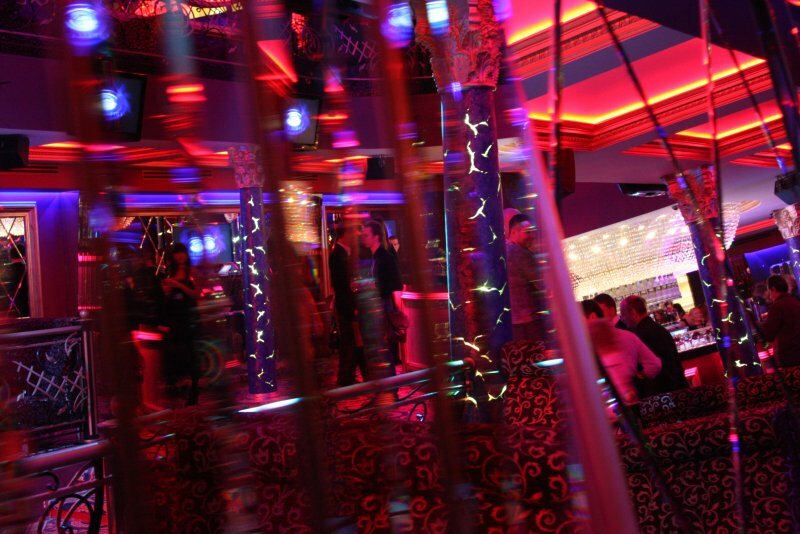 The club, open only on Friday and Saturday nights, enforces a dress code so don’t come wearing ripped jeans. The cover charge is €14. The Crystal Club interior is very similar to Studio 69, which reopened just few months before. Even the halls are alike, except that the main bar here is placed beneath a huge crystal chandelier – which could be the reason for the venue’s name. At the beginning of the night there were four go-go dancers perched atop podiums shaking their booties above the heads of the dancing ladies. You can rise above this to some viewing platforms looking down at the action. Here you can escape the crowd, but not the noise. 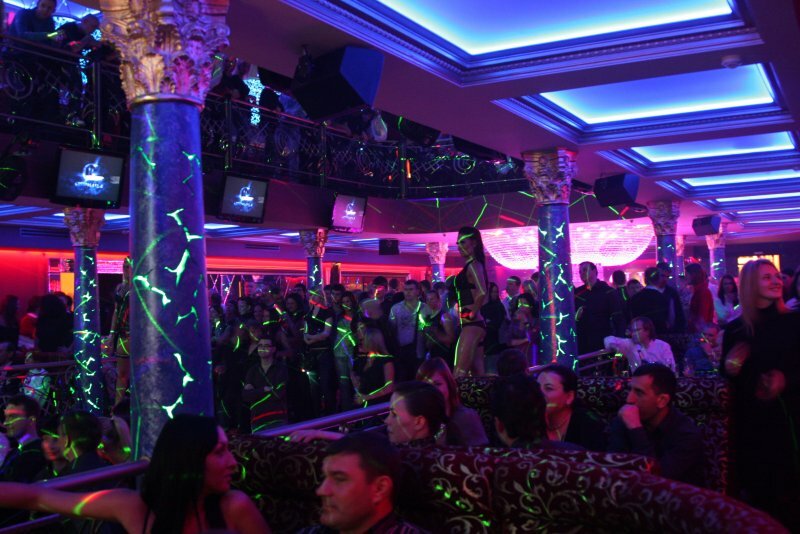 The main room is encircled by an elevated seating area for those who don’t feel like non-stop dancing. Reserving a table for two costs €28 per person and for this you get a plush spot to see and be seen, and the fee is credited towards the club’s fancy food and beverage menu. For those who don’t reserve a table, the bar menu in brief consists of regular cocktails like a Margarita or a Daiquiri for €7, mixed spirits at around €5, and a bottle of Corona is close to € 6. For those who desire more serious liquids, there is an alluring list of vintages and cognacs including Remy Martin and Hennessey. The venue lacks a special room for smokers, but it is allowed to smoke inside the main hall. We recommend taking a taxi to get there as there’s no special parking area to leave your car.